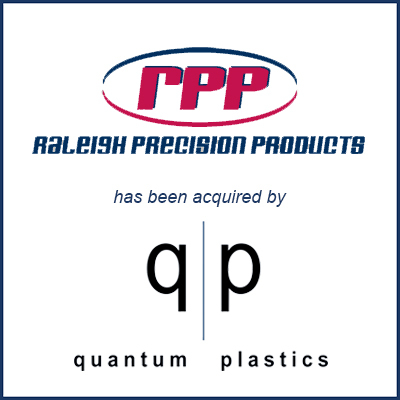 Kenly, NC – April 2018 – Raleigh Precision Products, a custom and proprietary injection molding company in North Carolina, has been acquired by Quantum Plastics of Elgin, IL. The deal gives Quantum another high-performance molding plant and an important geographic footprint in the Southeastern United States. “Raleigh Precision brings to the table a range of industrial products and a proprietary line of components for heating, venting and air conditioning markets,” Ron Embree, Quantum President and CEO, noted. “They fit Quantum’s existing industrial and consumer product lines,” he added. Raleigh Precision Products marks Quantum’s 9th acquisition in the past 4 years. MBS advised Raleigh Precision Products in the transaction. Excerpts from above were taken from Plastics News. Click here for the full article.